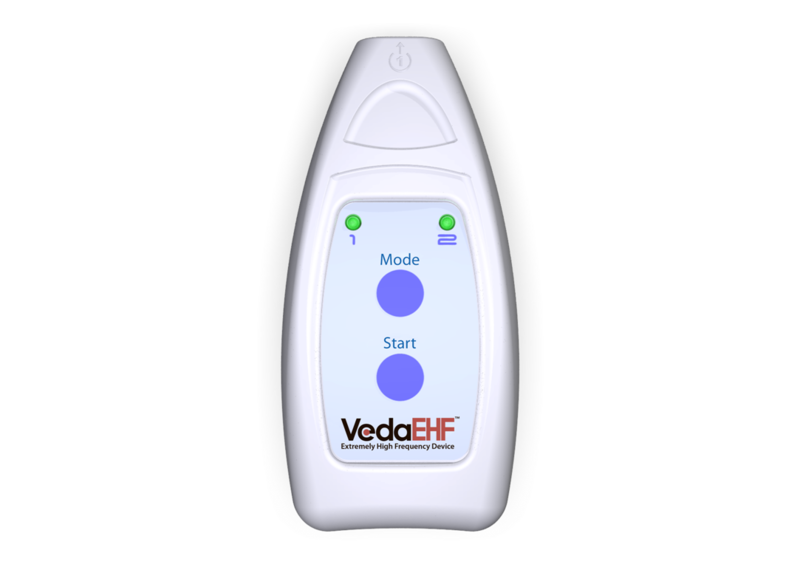 “VedaEHF” device is designed for providing healing and health-improving effect on biologically active points (BAP) and zones by extremely high frequencies (EHF). The device has three modes: universal 5-minute mode (for influencing BAPs), universal 10-minute mode (for reflex zones and vessels projection exposure), and a unique natural resonant radiation (NRR) mode, which provides energoinformational effect (electronic homeopathy). 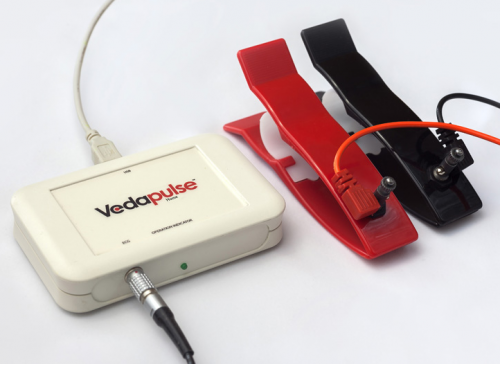 Best working in combination with the extension "EHF Therapy" of the "VedaPulse Professional" device. Extremely high frequency (EHF) is the ITU designation for the band of radio frequencies in the electromagnetic spectrum from 30 to 300 GHz, above which electromagnetic radiation is considered to be low (or far) infrared light, also referred to as terahertz radiation. “VedaEHF” device’s basic version is equipped with 2 emitters - yellow and red. Yellow emitter works in the UHF-noise mode. It can be used in any situation and is suitable for NRR exposure. Red emitter provides stronger effect on the blood circulation and immune system. Using both emitters at the same time provides synergetic effect and clinical effect develop much faster. 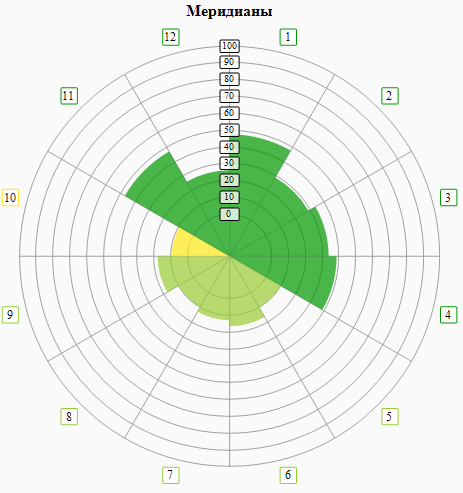 Unique NRR mode allows targeting the organs and tissues with the natural resonance radiation, recording information of the human biological media to the yellow emitter and using it in a constant mode (without the device) as "electronic homeopathy". This option is used during long-lasting subacute diseases and diseases with abnormal secretions (phlegm, leucorrhoea, loose stool). NRR therapy is a new method of EHF therapy based on the technology of the gallium arsenide emitter. It captures the frequency response of the external radiation and thus generates signals similar to the pathologic impulses, which activate the recovery processes. "VedaEHF" allows affecting points of the 12 main and 2 middle meridians, acupuncture points of corresponding systems (Su Jok, auricular therapy, reflexology, ECiWO, etc. ), biological active zones by Zakharyin-Ged, energy centers (dantians and chakras). EHF therapy using BAP combines the modern electronic technology of Western medicine and ancient Eastern health approaches. EHF exposure impacts the information level by changing the human internal fluids structure and improves the cell membranes function without inducing damaging heat effect on the organs and tissues. This type of impact resonates with the channel system of Traditional Chinese Medicine. All organs and systems tune up to an optimal performance; they form structural and functional psycho-physical system under the EHF influence. Clinical effects of the EHF therapy using BAPs are being implemented much faster and have more prolonged action than the zonal EHF has. - Suitable for both acute and chronic conditions and can be used as a preventive measure. STILL HAVE QUESTIONS? WE WILL CALL YOU BACK! "EHF Therapy" extension is designed for reflexology specialists, who use EHF devices in their practice. It allows creating an individual EHF prescription for the treatment, prevention and health improvement with due consideration of the patient’s constitution, current energy level in the system of channels and biorhythmic activity of acupuncture points. 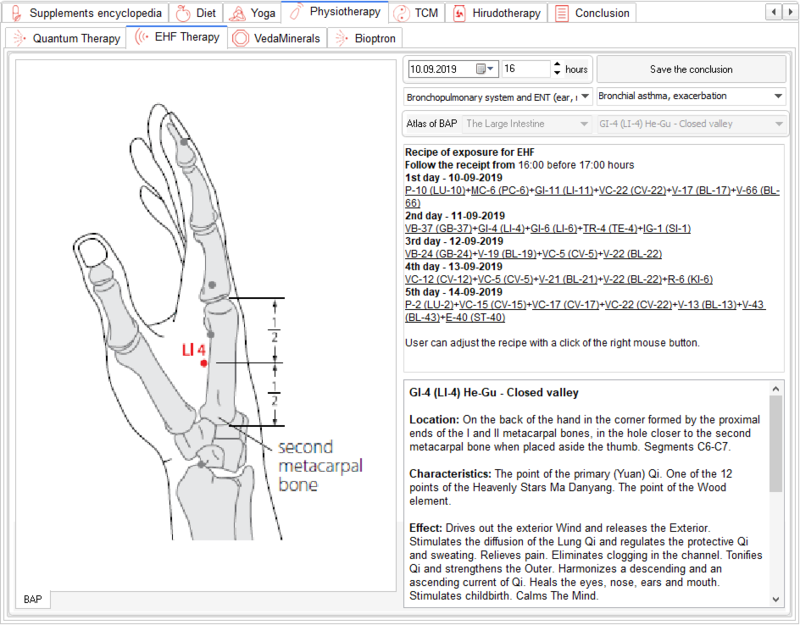 "Meridians" is an expert extension to VedaPulseTM Professional designed to assess the functional state of the 12 vital organs in Traditional Chinese Medicine (TCM). VedaPulse Home is a compact device that allows to independently monitor your own state, keep a health diary, exchange data with a specialist for a timely control and advice, as well as for performing autogenic training to boost the process of the body’s self-regulation.